Pick the bin thats 20% bigger! Delivery suburb (pricing will vary slightly depending on distance from the recycling and resource recovery centre). Type of waste being paced in the skip bin – please see our discount structure below. Time skip bin is required onsite (periods greater than seven days may incur a weekly skip bin hire surcharge). Have you ever found yourself wondering “how much does a skip bin cost to hire”? If you’re looking for Perth’s best skip bin prices, look no further than The Bin Guys. Our pricing and discounts are listed below, where you’ll be able to compare us with our competition (check out our Google reviews). You can also see how much it costs to rent a skip bin by simply clicking the Book A Bin button on the right hand side of the page to get access to instant and great service. When comparing us with other companies, it’s important to ensure you compare the bin dimensions. Over 65% of our competitors we surveyed supplied skip bins up to 25% smaller than they promoted on their website……so it’s important to make sure that you don’t get ripped off! Watch our short videos to learn how to correctly measure your skip bin so you can be confident you won’t be ripped off. Book online now in five easy steps. Email our quote form and get a quick response during work hours. Free call to our team on 1800 884 884 and talk to a real person. It does not matter if you are north or south of the river or elsewhere in the metropolitan area. If you need information on how much does it cost to hire and rent a skip bin in your area, we can quote your bin pricing instantly. Our skip bin sizes are the best in Western Australia, as we have options to suit every budget and provide great value for money. You can have total confidence that we’ll recycle your waste and will provide great discounts to keep your pricing as cheap as possible. Please see below to view our discount options. (Any discount will be credited back after the bin has been tipped in our yard and photographed to confirm no mixed waste or hidden surprises). The bin size – measure it (watch our videos to see how 65% of our competitors supply smaller bins than advertised). Time onsite – can vary from three to seven days. Ask for additional costs such as credit card fees, fuel surcharge or environmental levies. It’s also handy to even ask about GST, as it may be added on top of prices quoted. Online skip bin booking sites – most are eastern states based with time delays and are not governed by WA laws if you have an issue with the company they use. 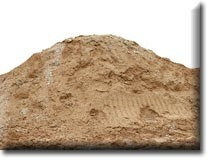 15% discount on clean sand. 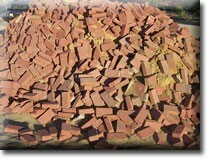 Must not contain more than 2% organic material such as grass, weeds, tree roots or mulch. Also must not include more than 2% rocks, limestone etc. You can drop off steel items such as whitegoods for free at our recycling and resource recovery centre at 9 Rodgers Way Landsdale. 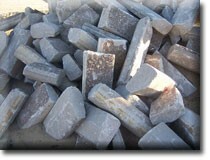 Clean scrap steel we accept includes. In order to try and keep our prices cheap and affordable for you, we need you to help us. Our discount means less onsite sorting at our recycling centre for materials that can be recycled (when we save, you also save). Please inform your workers, mates and/or contractors who are helping you that you are receiving a discount for your waste. In order for you to receive your discount, all rubbish must be kept out of the skip bin apart from your recyclable material. Please refrain from placing plastic water bottles, beer bottles, lunch wrappers etc. 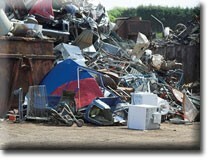 in with your waste as your discount will become null and void for contaminants. Our trucks all have GPS trackers in them so we can show definitive proof should you dispute the quality of your recyclable waste. Your waste will be photographed and you will be charged our standard skip bin price. We don’t like enforcing rules, as what we are trying to do is create a cheap, affordable skip bin hire service at discount pricing to you, our customer. Please help us to achieve this goal for your future benefit and the WA environment. It costs money to dispose of waste, which is no surprise there really………………so, why do some skip bin companies deceive their customers on what size waste bin they are actually receiving and paying for. The answer? The waste disposal company receives an advantage by cheaper tipping costs as the skip bin is smaller than quoted, not to mention less fuel and overall operating costs. In order to gain your “valued” business, it is very easy to quote a skip bin as being “X” amount of cubic metres capacity, especially when you can't see the skip bin over the phone or when booking online. It happens more often than you think, with some companies having bins that are up to 20% smaller than advertised and promoted! The size of the waste bin you pay for should be as if you filled the skip bin with water, or very close to it. When confronted, these companies often say “we allow for overfilling as no one fills to the top of the skip bin“. This is highly dangerous and illegal under the Road Traffic Act, not to mention deceptive to you as the purchaser. Please compare our skip bin sizes for true value for money and affordable skip bin waste disposal on your next job or project in the Perth metropolitan area. We have discreetly placed some of our skip bins next to our competitors to show you the difference between some skip bins that are the same size. If you’re wondering how much are skip bins to hire from us, our team at The Bin Guys can provide you with an instant quote. Contact us today by giving us a call on 1800 884 884.